Execution of separate electrical installations and structural cabling networks in northern and central Poland, dedicated to the system of Polish Central Vehicle and Driver Register (CEPIK). Execution of Fire Detection and Fire Alarm System, Burglary and Intrusion Alarm System, Public Address and Emergency Voice Evacuation System, Fire Flaps in the facility of Hotel Polonia in Jerozolimskie Avenue in Warsaw. Execution of ICT installations, i.e. intercom systems, people and vehicle counting systems, CCTV in Reduta shopping centre II in Jerozolimskie Avenue in Warsaw, which was commissioned by ELEKTRO A-Z Sp. z o.o. Execution of ICT installations in the facility of Bemowo Park in Warsaw. Execution of ICT installations of structured cabling and fibre optic cabling systems, separate electrical installation in the building of the Polish Ministry of the Interior (MSWiA) in Batorego Street in Warsaw. Execution of electrical installations in the facility: Plaza shopping centre in Poznań (part of cabling) commissioned by ELEKTRO A-Z. Sp. z o.o. Execution of ICT installations of LAN computer network, intercom network, audio video network in Panasonic Imax cinema within the facility Plaza Poznań commissioned by ELEKTRO A-Z. Sp. z o.o. Execution of installations for Burglary and Intrusion Alarm System, CATV in the showroom and warehouse facility of Parker Poland Sp. z o.o. in Cząstków Polski. Execution of installations for Burglary and Intrusion Alarm System, Access Control System, Fibre Optic Cabling System, Structured Cabling System, Satellite TV and terrestrial TV in the distribution network (cable) within the area of brown goods retail space, CCTV in the facility DIXION IKEA in M1 shopping centre in Marki, Warsaw. Execution of LAN computer network and separate electrical network in the building of the Municipal Office of the Capital City of Warsaw at Miodowa Street 6/8. 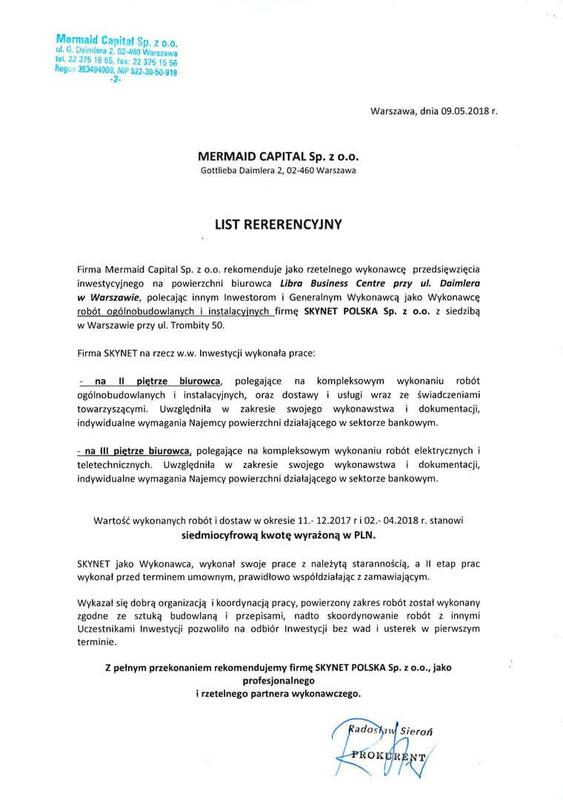 Execution of electrical installation and ICT systems in the facility Millennium Plaza – Bank Millennium at Jerozolimskie Avenue 132. Execution of electrical installations and ICT systems in the office space of Adgar Plaza in Warsaw in Postępu Street. 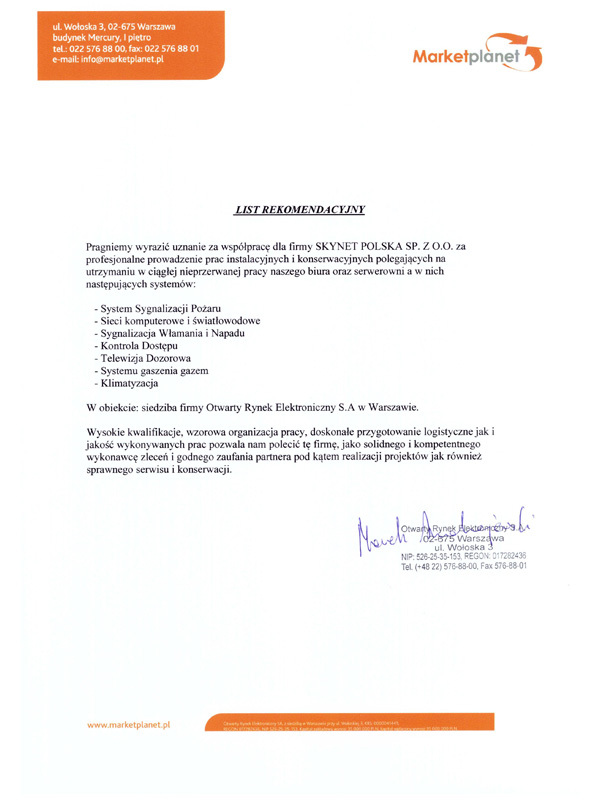 Execution of electrical installations and ICT systems in Municipal Offices, District Governers’ Offices (Starostwa Powiatowe), Transport Departments connected to the system of the Polish Central Vehicle and Driver Register (CEPIK) in the following localities across Poland: Kwidzyń, Suwałki, Braniewo, Łódź, Leszno, Konin, Piotrków Trybunalski, Ożarów Mazowiecki, Słupca, Dobre Miasto, Wysokie Mazowieckie and Polish Central Vehicle and Driver Register (CEPIK) within Warsaw area. Installation and commissioning of the fire alarm system along with its control in POLON ALFA technology, commissioning of fire gates and fire flaps, installation and commissioning of satellite TV distributed to 130 units, installation and commissioning of BPT entry phone system, execution of CCTV (PROTEC) industrial television system in the facility: Rezydencja Narbutta at the junction of Łowicka and Narbutta Streets in Mokotów district in Warsaw. 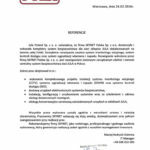 Execution of ICT installations, i.e.Burglary and intrusion alarm system, CCTV industrial television, LAN computer network, public address system in the facility Stadion Polonia in Warsaw in Konwiktorska Street. Execution of installations for LAN computer network and TV system in the facility of Radio ESKA in Warsaw in Jubilerska Street. 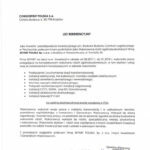 Modernisation and redevelopment of safety and security systems in the facility of Polish National Clearing House (Krajowa Izba Rozliczeniowa S.A.) in Warsaw. Execution of ICT system installation in the facility of Polish National Clearing House (Krajowa Izba Rozliczeniowa S.A.) at Pileckiego Street 65 in Warsaw. Execution of CCTV installations, burglary and intrusion alarm system installation and access control system installation in the warehouse facility of KOLPORTER company in Warsaw. 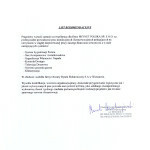 Installation and modernisation of CCTV system in the facility of KOLPORTER Mościska. Execution of rack cabinets RACK connections in the server room of CANAL + in Warsaw. Execution of Electrical Installation and ICT installation, Gaseous Fire Suppression System for the interiors of Trustwave in Warsaw. Execution of CCTV system encompassing 108 cameras, including 8 high-speed domes with full telemetry control; furnishing the control room with quick view accessories and control management. Execution of secret audio surveillance system, alarm system, emergency notification system in Hilton Hotel Casino in Grzybowska Street in Warsaw. Commissioning, configuration and programming of CCTV installation in the facility KASYNO SUNRISE (CASINO) in Pańska Street in Warsaw. 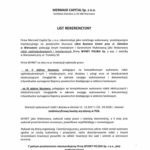 Execution of CCTV installation, burglary and intrusion alarm system installation and access control system installation in the facility of KASYNO METROPOL (CASINO) in Warsaw. Modification of the CCTV and access control system in KASYNO SUNRISE (CASINO) in METROPOL HOTEL in Warsaw. Execution of CCTV installation, burglary and intrusion alarm system installation and access control system installation in the facility of KASYNO SUNRISE (CASINO) in Kielce. Execution of CCTV installation, burglary and intrusion alarm system installation and access control system installation in the facility of KASYNO SUNRISE (CASINO) in Janki near Warsaw. Execution of CCTV installation, burglary and intrusion alarm system installation and access control system installation in the facility of KASYNO SUNRISE (CASINO) in Gorzów Wielkopolski. Execution of CCTV installation, burglary and intrusion alarm system installation and access control system installation in the facility of KASYNO SUNRISE (CASINO) in Wrocław. 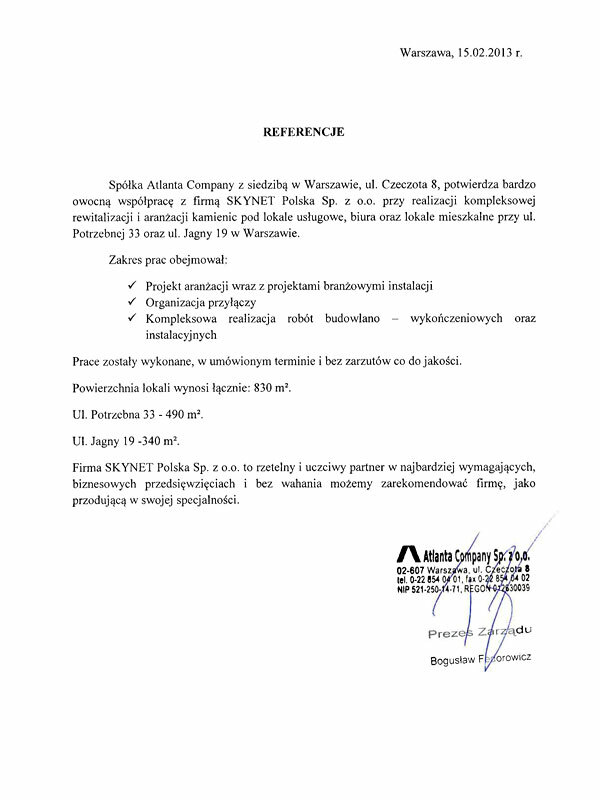 Maintenance and repair service for TP S.A. of their five facilities within Warsaw city area, the service included ICT systems and separate electrical installations. 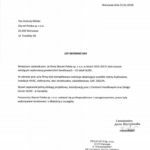 Repair service of LOGIS facility in Rawa Mazowiecka, which provides services to Neostrada customers pursuant to an agreement with PST S.A. company. 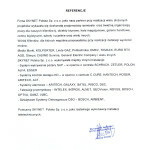 Repair service of TP Internet facilities within Warsaw city area: Domaniewska Street – Taurus and Merkury buildings, Czackiego Street – SIGNET, Jana Pawła II Street – Kaskada building. Modernisation and installation works within TP S.A. facilities commissioned by PST S.A. Execution of fire protection of cable penetrators with HILTI refractory composition in the facility of TP Internet Sp. z o.o. Project design and implementation of LAN computer network in the facility of TP MED. Sp. z o.o. in Św. Barbary Street in Warsaw. Taking periodic electrical measurements for TP S.A. in the office building Merkury in Domaniewska Street. Relocation of uninterrupted power supply devices UPS APC 80kVA, relocation from Taurus building to Merkury building along with modification of separate electrical installation for TP S.A. Execution of technical audits of electrical installation, ICT installations, air-conditioning in the facility of TP Internet Sp. z o.o at Muszkieterów 15A Street in Warsaw. 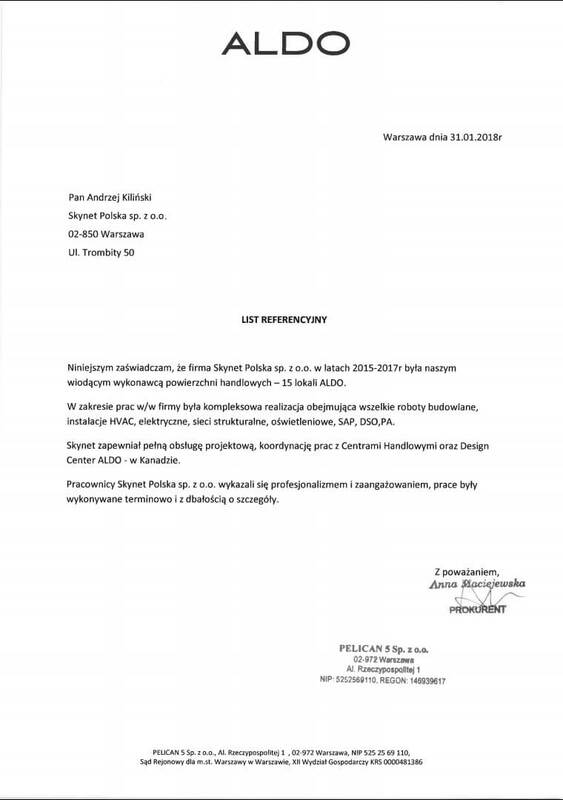 Disassembly and relocation of TP Internet server room from KASKADA building in Jana Pawła II Street to the facility of TP S.A. in Czackiego Street. Disassembly and relocation of security systems, UPS units, active devices, de-installation of Faraday cage, modification of electrical installation – replacement of switching stations. Execution of electrical and ICT installations, i.e. general electrical installations, separate electrical installations, special electrical installations (server room), ICT installations of access control, CCTV installation, LAN structured cabling along with fibre optic connections between buildings and telephone wiring in the facility of the company Otwarty Rynek Elektroniczny grupa TP S.A. in Wołowska Street in Warsaw, Merkury building. Disassembly of APC POWER STRUCTURE units and redevelopment guaranteed power supply in the facility of TP S.A. in Wołowska Street, Merkury building. Execution of electrical and ICT installations in the facility of BRE Bank in Oławska Street in Wrocław. 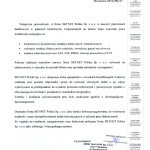 Execution of electrical and ICT installations in the facility of BRE Bank (MBank) in Grójecka Street in Warsaw. Execution of electrical and ICT installations in the facility of BRE Bank (MultiBank) in Komisji Edukacji Narodowej Street in Warsaw. 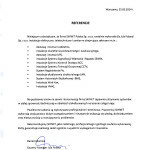 Execution of electrical and ICT installations – comprehensive modernisation of Millennium bank facilities in the following localities: Gdańsk, Gdynia, Ostrów Mazowiecka, Czarna Woda, Łańcut, Olsztyn, Bydgoszcz, Elbląg, Opole, Wrocław, Katowice, Lublin; work commissioned by SOFTBANK S.A. Execution of ICT installations of security systems, i.e. 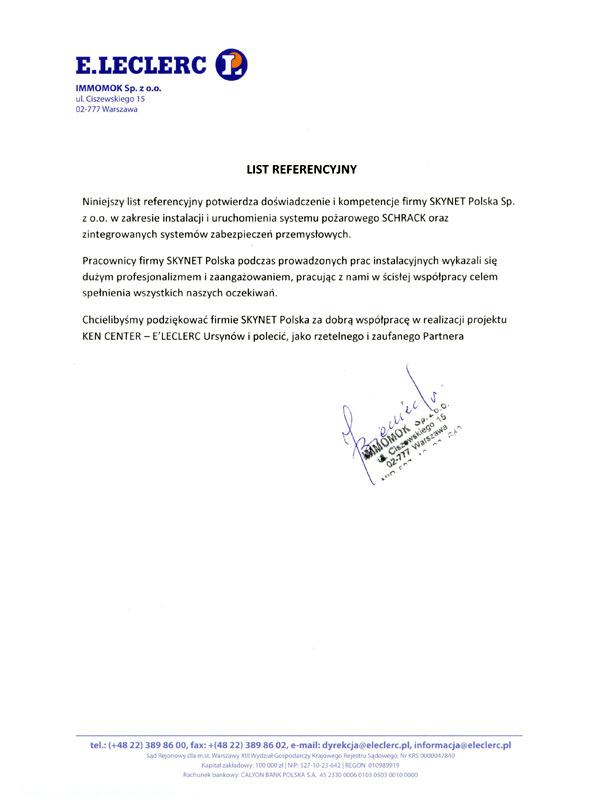 burglary and intrusion alarm system, access control system, CCTV system in the military facility of Polish Border Guard Unit in Kętrzyn, commissioned by SPRINT Sp. z o.o. company. Execution of ICT installations of security systems, i.e. 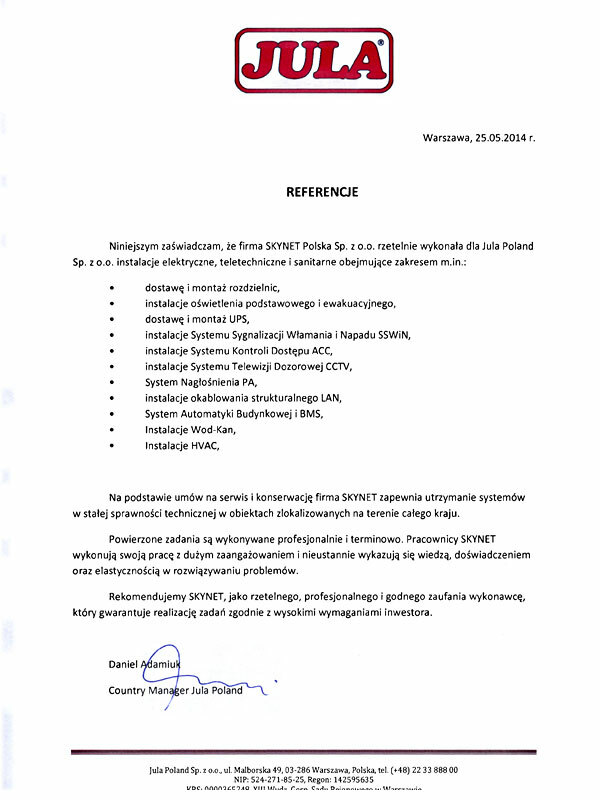 burglary and intrusion alarm system, access control system, CCTV system in the military facility of Polish Border Guard Unit in Bartoszyce, Braniewo, Gołdap, commissioned by SPRINT Sp. z o.o. company. 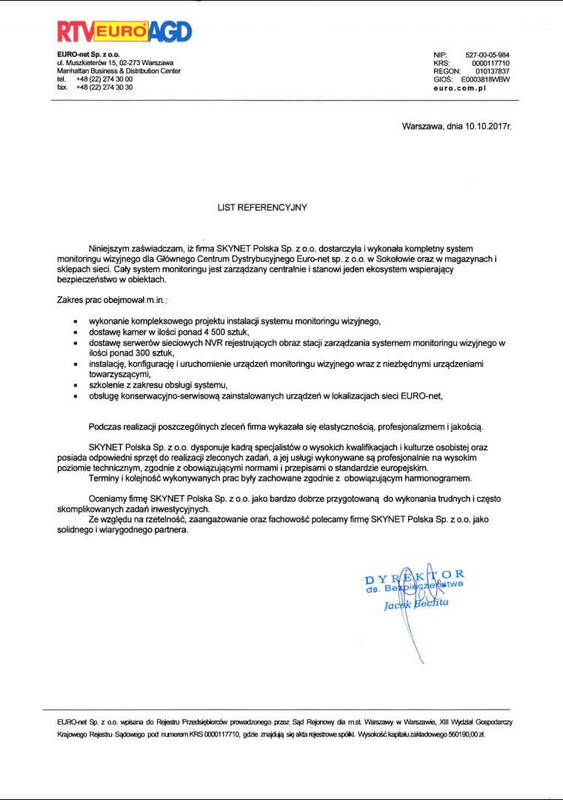 Execution of BMS automation system, EIB system based on technologies of ABB company in the Administration and Technical Matters Building of the Road Border Crossing Point in Bezledy, commissioned by SPRINT Sp. z o.o. company. 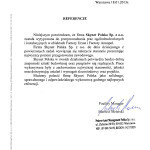 Execution of installations for Burglary and Intrusion Alarm System, Access Control System, Fibre Optic Cabling System, LAN Structured Cabling System, Satellite TV and terrestrial TV in the distribution network (cable) within the area of brown goods retail space, electrical installations in the technology of the store in ELECTRO WORLD facility in Janki, shopping centre in Warsaw. Execution of installations for Burglary and Intrusion Alarm System, Access Control System, Fibre Optic Cabling System, LAN Structured Cabling System, Satellite TV and terrestrial TV in the distribution network (cable) within the area of brown goods retail space, electrical installations in the technology of the store in ELECTRO WORLD facility in Matarnia shopping centre in Gdańsk. Replacement of modulators and modernisation of CATV, start-up of advertising presentation in ELECTRO WORLD facilities in Gdańsk, Wrocław and Warsaw. Execution of installations for Burglary and Intrusion Alarm System, Access Control System, Fibre Optic Cabling System, LAN Structured Cabling System, Satellite TV and terrestrial TV in the distribution network (cable) within the area of brown goods retail space, electrical installations in the technology of the store in ELECTRO WORLD facility in Bielany Wrocławskie shopping centre in Wrocław. Modernisation and redevelopment of LAN computer network in the facility of ELECTRO WORLD Targówek. 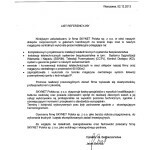 Project design and implementation of electrical and ICT installations, provision of equipment for UPS ASP Symmerta units, installation of CATV and HDTV in the retail space of ELECTRO WORLD Manufaktura centre in Łódź. Project design and implementation of electrical and ICT installations, provision of equipment for UPS APC Symmerta units, installation of CATV and HDTV, execution of BMS control system, execution of installations of facility security systems, i.e. access control, GALAXY burglar and intrusion alarm system, CCTV industrial television, execution of LAN computer network in the retail space of ELECTRO WORLD in PROMENADA shopping centre in Warsaw. Modernisation of outdoor advertising lighting of Electro World Targówek. Execution of ICT installations, i.e. burglary and intrusion alarm system, CCTV, access control, LAN, CATV, HDTV, security gates in the facility of Electro World in Katowice. Execution of power supply installation, electrical installation of outlets, distribution boxes, ICT installations and lighting of the facility and BMS system, LAN computer network for Electro World in Opole. Execution of installations of the following security systems: burglary and intrusion alarm system, CCTV industrial television, security (anti-theft) gates, satellite and terrestrial television and HDTV system in the facility of Electro World in Opole. Project design of electrical and ICT installations along with HDTV system distribution network to receivers located within the retail space of AVANS stores in Warsaw Skorosze shopping centre and in Białystok Galeria Podlaska shopping centre. Execution of electrical and ICT installations in AVANS store in Warsaw in Skorosze shopping centre. Execution of electrical and ICT installations in AVANS store in Białystok in Galeria Podlaska shopping centre. Project design and implementation of terrestrial and satellite TV system in AVANS store in SKOROSZE shopping centre in Warsaw. Execution of installation of HDTV system in AVANS store in Siedlce. Installation of HDTV system in AVANS stores in Skierniewice, Chełm, Międzyrzec Podlaski. Installation of HDTV system in AVANS store in Tomaszów Lubelski. Execution of security systems installations, i.e. CCTV and Burglary and Intrusion Alarm System, security (anti-theft) gates in Piotr i Paweł stores in Warsaw Tarchomin. Comprehensive execution of electrical installations in the retail space of ZOO Natura Sp. z o.o. company in Białystok in Galeria Podlaska shoppping centre. Execution of electrical and ICT installations in the new head office of ZOO NATURA Sp. z o.o. company in Warsaw. Comprehensive execution of electrical installations in ZOO NATURA facility in Jantar shopping centre in Słupsk. Execution of electrical installations in ZOO NATURA facility in POGORIA shopping centre in Dąbrowa Górnicza. Execution of electrical installations in ZOO NATURA facility in Karolinka II shopping centre in Opole. 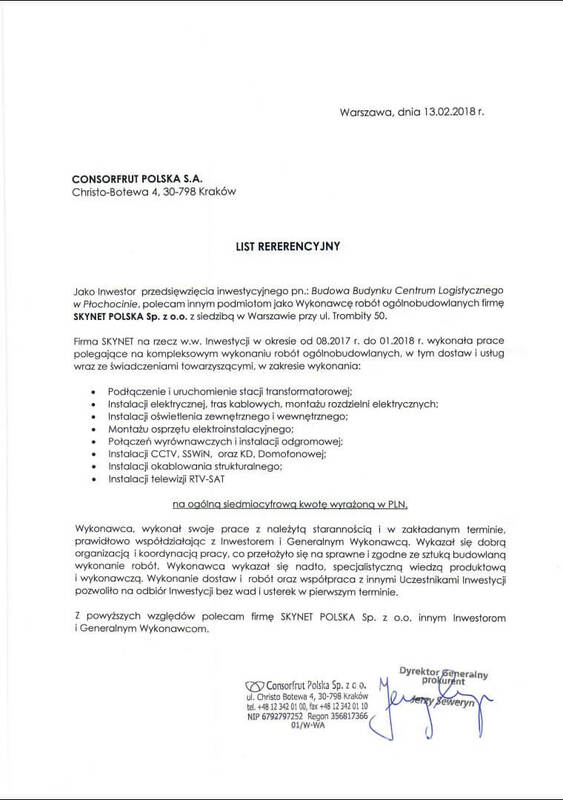 Redevelopment and modernisation of CCTV system in the facility of MEDIA MARKT in Warsaw. Execution of ICT installations in the facility: SHAPE MOKOTÓW, LAN network and CATV installation, power supply system and TV signal distribution system of C+ platform to receivers along with the execution of antenna field on the roof of Galeria Mokotów building. Execution of ICT installations of LAN network in the SHAPE facility of HOLMES PLACE Poland Sp. z o.o. company in Arkadia shopping centre. Execution of installation of TV distribution system within the area of SHAPE club sports hall for HOLMES PLACE Poland Sp. z o.o. company in Arkadia shopping centre in Warsaw. Execution of electrical installation in SUBWAY restaurant in Warsaw Old Town. Execution of construction works and electrical installation in SUBWAY facility in Jerozolimskie Avenue in Warsaw. Execution of construction works and electrical installation in SUBWAY facility in SADYBA BEST MALL in Warsaw. Execution of electrical and ICT installation in Kari chain stores in shopping centres across Poland. Execution of electrical and ICT installations in 6 Domino Pizza restaurants in Warsaw. Execution of ICT installations in the warehouse facility of EURO RTV AGD (white and brown goods) company, covering a floor area of 60.000 m2 in Warsaw. Execution of ICT installations in the offices of EURO RTV AGD company in Muszkieterów Street in Warsaw. Execution of ICT installations in the retail stores of EURO RTV AGD company across Poland. Maintenance and repair service of electrical installations, guaranteed power supply, FM200 gaseous fire suppression systems for TP S.A. Performance of maintenance services and technical inspections and repairs along with the replacement of all liquids, filters and other consumable materials of the power generator PERKINS 2800 series P450PI and APC UPS emergency power units in the facility of TP Internet Sp. z o. o. company at Muszkieterów 15A. Periodic electrical measurements and LAN network measurements for TP Internet Sp. z o.o. company. 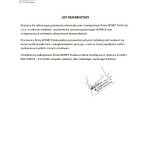 Repairs of guaranteed power supply and operational maintenance of the facilities of TP Internet Sp. z o.o. Repair service and maintenance of ICT installation in chain stores, central warehouse and offices of EURO RTV AGD (white and brown goods company). 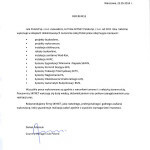 Repair service and maintenance of electrical, ICT and sanitary installations in JULA multimarket chain across Poland. Repair service of ICT installations of CCTV for KAUFLAND chain stores.